Massive Open Online Courses (MOOCs) are offered by many universities, with hundreds thousands of people worldwide having registered for one or more of the many available courses. Despite the potential that has been claimed for these courses to transform education, in practice the majority are deeply conservative in maintaining the educational status quo. Lacking innovative pedagogic foundation and with the need for approaches that scale, many courses rely heavily on very traditional methods such as mini-lectures and quizzes. In particular, learner support is proving to be insufficient for many participants. 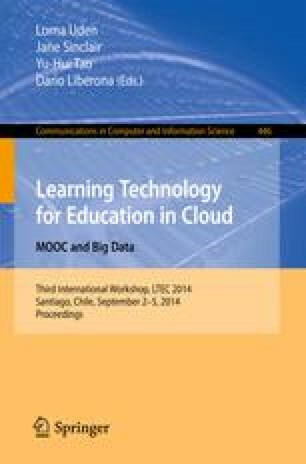 This paper reports initial results and experience from developing and presenting a MOOC which provides both “traditional” and supported modes. We present the motivation and objectives for the course, discuss initial results and reflect on lessons learned in the process.